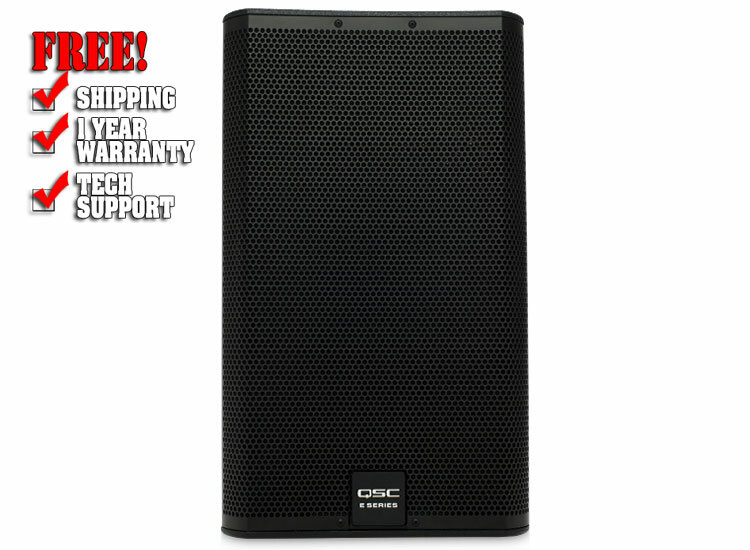 The E15 is a trapezoidal, two-way loudspeaker using a 15-inch, 500W, die cast aluminum frame woofer with a 3.5-inch voice coil. 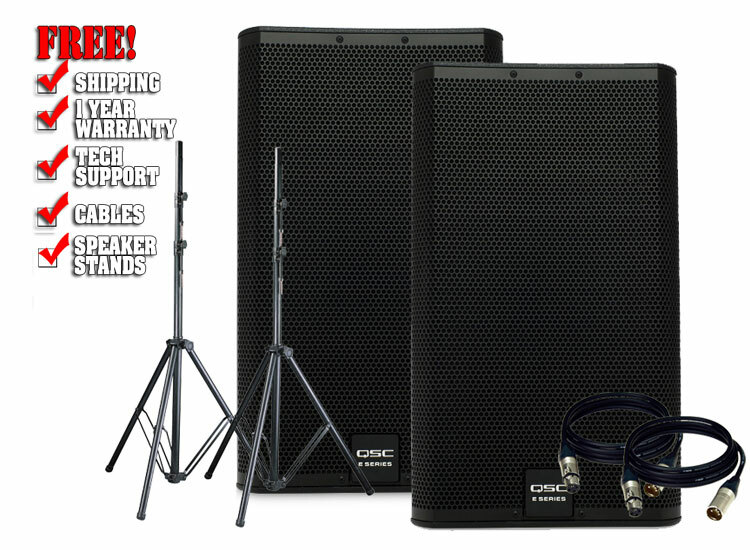 It is intended for use when high-power and authoritative low-end are needed from a full-range loudspeaker. A 2.8" compression driver attached to the 75° DMTTM waveguide assures that even distant listeners will be well covered. E Series loudspeakers will perform very well with any quality, professional power amplifier but by taking advantage of the complete E Series Entertainment System, more performance and options are available. Today's powered loudspeakers rely on finely tuned digital signal processing (DSP) to achieve a higher level of performance. 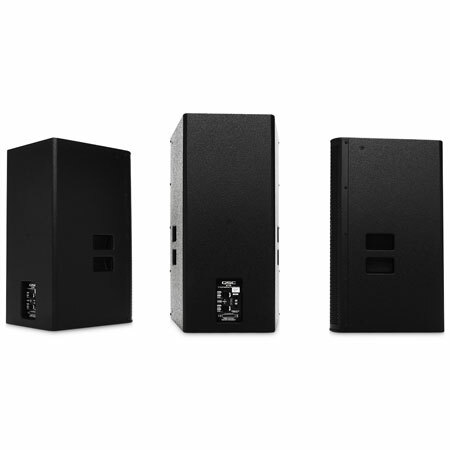 When used with QSC GXD or PLD amplifiers or with a QSC TouchMix digital mixer, E Series loudspeakers can also take advantage of advanced DSP. QSC has developed E Series DSP settings for all three platforms. These settings support a variety of applications including live sound reinforcement (with and without subwoofers), stage monitoring, dance music and karaoke. E Series Entertainment System Advanced digital signal processing tunings and options using QSC GXD, PLD amplifiers or TouchMix digital mixers. Enclosure	: Trapezoidal, plywood, black texture paint finish. Two side-mounted handles, Perforated, powder-coated steel grille with foam lining.